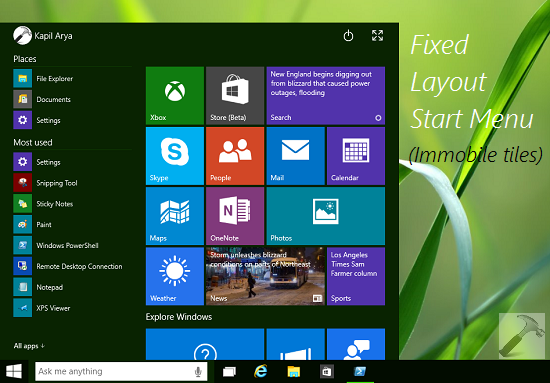 This article will help, if Start Menu layout in Windows 10 not working for you. You need to implement correct layout among full & partial Start Menu styles. If you want to prevent Start Menu customization from your clients in Windows 10, you can force fixed layout Start Menu with immobile tiles. 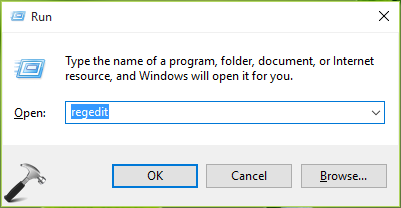 This requires to export your Start Menu layout into a XML file and applying this configuration by concerned Group Policy setting. However, sometimes administrators may find that even after following the steps correctly, they could not push fixed Start Menu to their clients. In this article, we’ll try to help those admins. FYI: Start Menu layout only work on Windows 10 Pro, Enterprise and Education editions. First you need to understand there are two type of layouts you can implement on fixed Start Menu. There could be full Start Menu layout and partial Start Menu layout. The later was introduced in Windows 10 V1511. With full Start Menu layout, you can prevent users to pin, unpin and uninstall apps from Start Menu. Users can only view pinned an all apps but doesn’t have ability to pin new apps. While with partial Start Menu layout, the content of specified tile group can no longer be changed, however clients can move those groups. This also provides clients the ability to create and customize their own groups. Since the contents of specified groups couldn’t be altered, you may see a ‘padlock’ icon at the top of the group. Microsoft has made considerable changes to Start Menu layout policies version to version in Windows 10. So it might be possible you’re trying to do something that has been changed for you version. Windows 10 V1507 Initial feature release, only full Start Menu layout supported. Windows 10 V1511 Added ability to add partial Start Menu layout as well, along with full one. Windows 10 V1703 Partial Start Menu layout shows the tile that are Group Policy controlled and tiles that Windows 10 defaults. If Start Menu tile for uninstall apps is pinned, the layout shows blank tile. It may disappear in successive user logons. However, in recent versions, no tiles would’ve pinned in such a case. We hope after reviewing above mentioned points, you’ll be able roll-out Start Menu layout as expected, to your clients.